“No more warpigs have the power…” indeed! Why? Well, because they’re making some tasty brews, of course! With this Afternoon Beer Break, we’re going both more local and more exotic. Why is that? 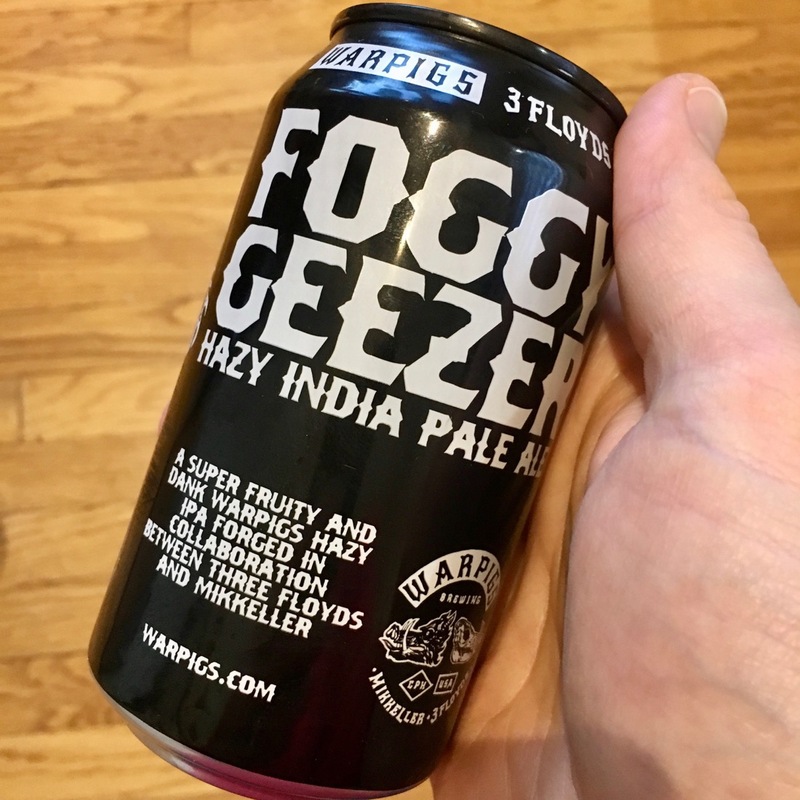 Well, you see, WarPigs is actually an Ameri-Euro collaboration, that results in the tasty WarPigs Foggy Geezer. WarPigs Brewery is a team-up between 3 Floyds Brewing out of Indiana and Mikkeller out of Denmark. Sure, it’s perhaps not a pairing you’d expect to have happen, but why not? Independently, they make some great stuff, and with their powers combined? Well, then you get stuff like the WarPigs Foggy Geezer. With the WarPigs Foggy Geezer, I cannot help but to think of the iconic band Black Sabbath. That’s where the lyric I opened this article with came from, and then even the name of this beer calls to mind Geezer Butler the bassist for the aforementioned band. Then you get to the can design, and, well, it really has the feel of an album cover. So, yeah, the metal is strong with this one. But it’s what’s on the inside that counts. Fortunately, there’s nothing metallic about this hazy IPA. When poured into a glass, it shows a decent carbonation level (no excessive levels of foam though, thankfully) and shows off it’s cloudy nature. On the nose, you definitely pick up the hops, and of course that’s the start of the taste journey. When the WarPigs Foggy Geezer hits the tongue, you get a light taste with a touch of tartness. While the label claims a fruity note, I didn’t pick that up. Rather, I noticed a piney one coming through. Which is ok in my book. Perhaps that’s why I’m not a food taster. Nice carbonation level. Not too much head.